To maintain power our enemy has established itself in positions of permanent and unalterable authority. They hide behind hordes of low level supporters who unknowingly maintain their power while fighting for "good." True organization of the far right is thus blotted out by the hoards. Opinions are kept quiet and support dwindles as the fire burns down to an all time low. Suppressed by the foot soldiers of modernity, right wing organization has been reduced to online talk. However, there is a path out of these dark times of little action. These foot soldiers are not as impenetrable as their higher counterparts. Their tactics of cultural terrorism maybe be difficult to counter, but with time and effort our enemy can be eliminated. The National Federalist Party must ensure its existence through long term presence and the creation of permanent infrastructure. The individual safety is paramount, and resources should be provided to party members and supporters. The question is, how do we provide this? We propose a three step path to victory. First our enemy must be sent reeling, blitzed out of its position in society. Next we must built permanent infrastructure for local party members. From here, we will have the space, security, and freedom to built a true presence in the political sphere. For now, the NFP must focus on stage one. A Blitz on Our Enemy. For now, our enemy maintains its power through the presence of radical leftist organizations found within the cities and town of America. These groups appear generally in large population centers rather than smaller towns. There are two kinds, single issue groups and overarching groups. Single issue groups focus only on their pet projects. A feminist group only tends to deal with feminist issues. They may have small, informal meetings or none at all. They tend to convene only in a reactive fashion to that which occurs around them. Overarching groups tend to focus on many issues, yet keep a similar theme between them. An anarchist collective may focus on topics relating to prisoner solidarity, immigration, and anti-gentrification; it is not restricted to a single issue. These groups tend to meet in a semi-regular manner, and may have some formalities. While they are still somewhat reactive, they tend to keep some discipline about themselves. All of these groups share a similar trait. They are reactive. Step into one of their pet issues and they will lash out. In reality, they have to, a non response is deadly for them, and allows us to directly message their constituents with our propaganda. However their reactive nature is highly exploitable. We must draw these groups out of the woodwork and drive their message to its logical extreme. Their presence, ideology, and tactics should become so common that the average person will find their very presence sickening. Exposing the true nature of these vile groups will lead to immediate rejection of their message. At the same time, we must maintain our presence within these regions. We must show people that there exists an alternate option to the ideology our opposition espouses. Our messaging should be hard hitting, clean cut, and consistent. There should be no compromise in the quality of our work. Many groups in the past have had significant problems messaging their audience. Often time, these groups fail to recognize their problems, or simply choose to ignore them out of pride. The first of these numerous problems is presentation. Modern right wing groups appear to have put little to no effort into their propaganda. Their posters are often sloppy, visually unappealing, and simply hard to read. 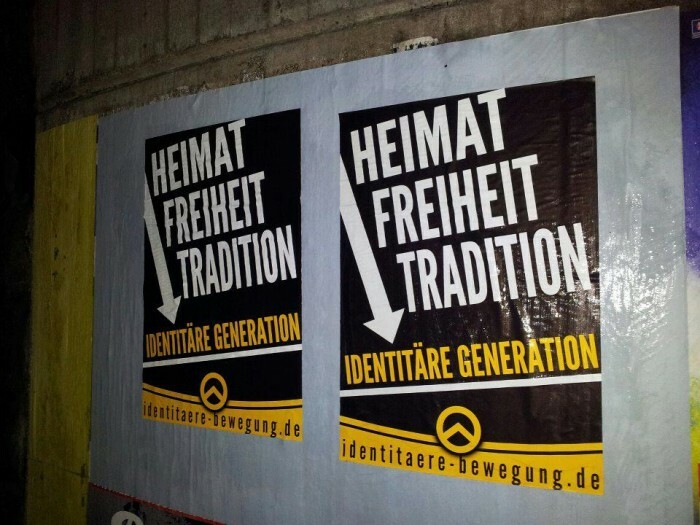 Here is a poster produced by US group Identity Evropa compared to a visually superior poster produced by EU group Generation Identity. Notice the differences. 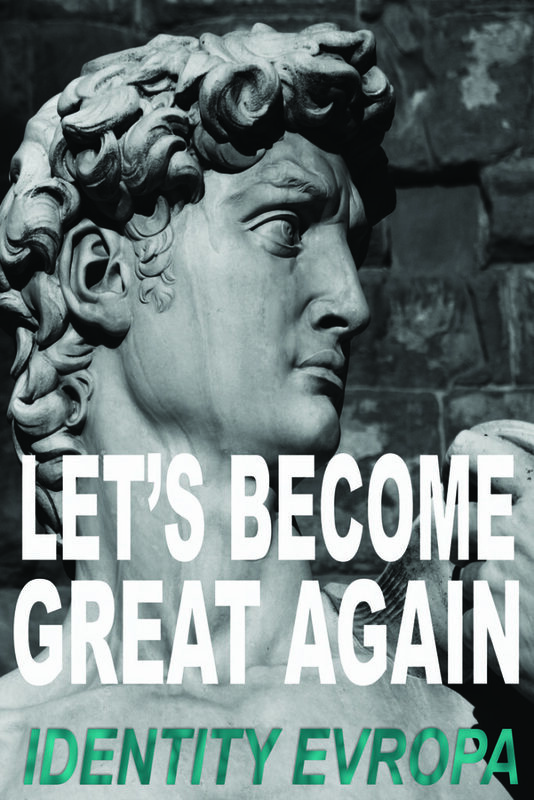 In the Identity Evropa poster, the statue takes up the majority of the poster while the message is left to the wayside. The text is hard to read, and in certain spots indistinguishable from the bright parts of the statue. 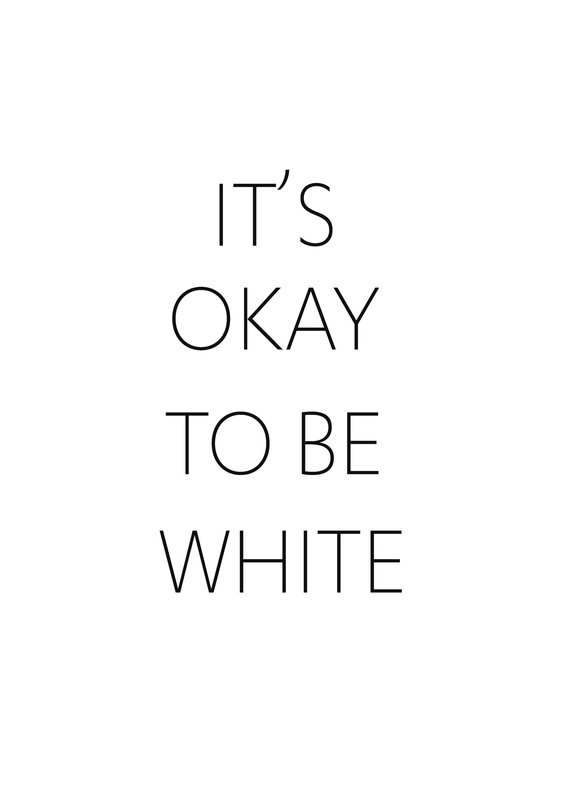 In the Generation Identity poster, the message takes a front and center role. There is a stark contrast between it and the background. The design is simple, and effective. The next problem these groups have is message. Many messages produced by the right are convoluted, text heavy, and far to complex for the attention span of the average viewer. 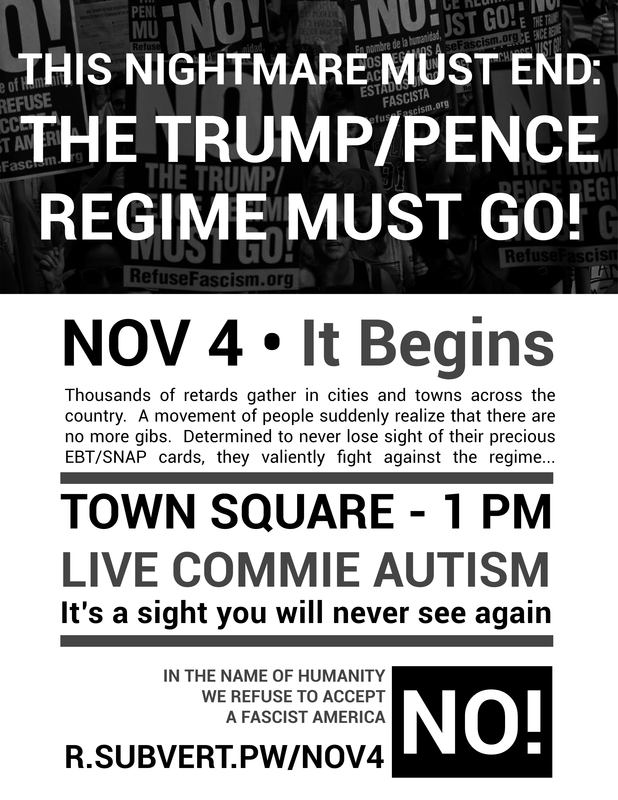 Below is a contrast of a poster produced by American Vanguard (pre-split) and a poster produced by an anonymous user of 8chan. The stark contrast between the message quality is immediately apparent. The poster produced by American Vanguard is convoluted and content heavy. A passerby would be quick to pass this poster up. 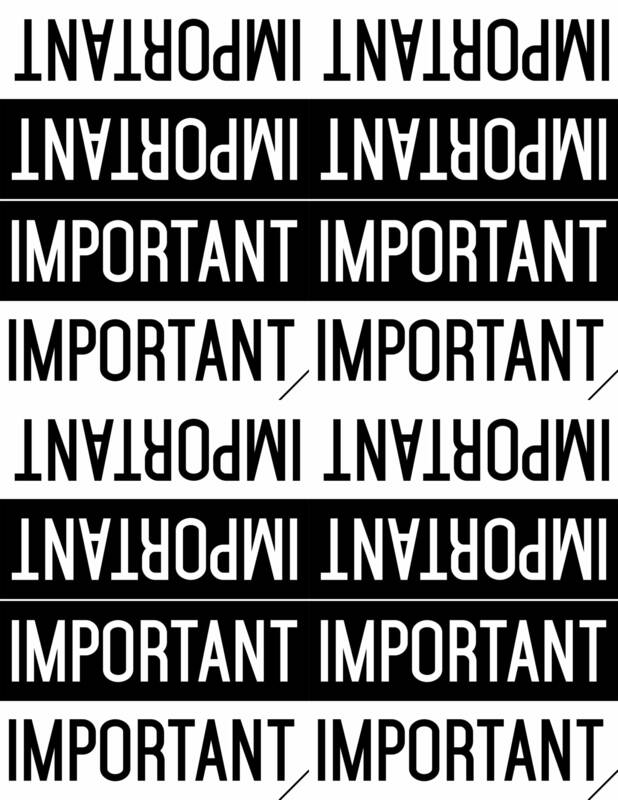 However, the IOTBW poster is simple in message and highly effective. The IOTBW poster is also built in such a way that any attack done on the poster will appear ludicrous and ultimately shall backfire upon the enemy (draw the enemy out, expose his true nature). These core flaws are being repeated throughout all media within the right wing. Take a look at the website of former group Traditionalist Workers Party, and compare it to our own (subvert.pw). 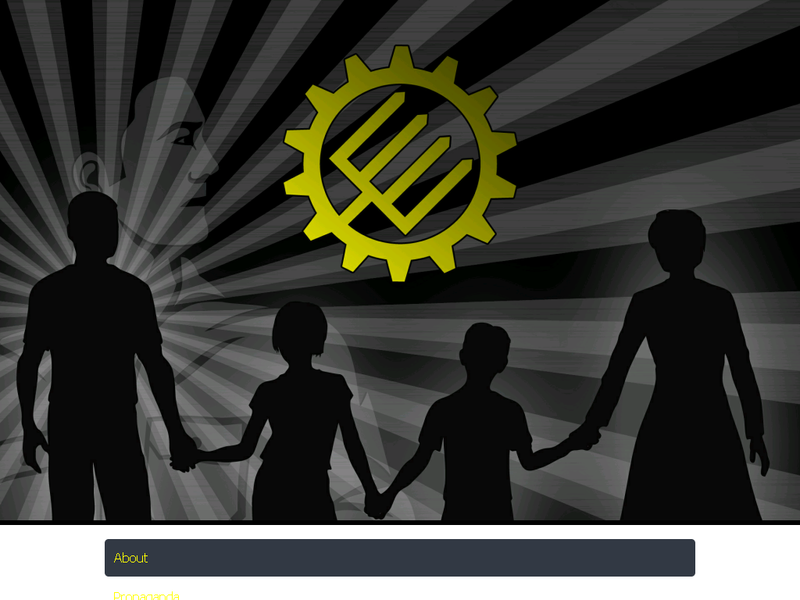 On the Traditionalist Workers Party site, an image with no content takes front and center. The website has poor color choice, is difficult to read, and navigation is confusion. The NFP website is bright and colorful with eye catching graphics placed next to relevant content. It is simple to navigate with pages users care about the most placed in the center. Deeper and more extensive problems exist within these groups. 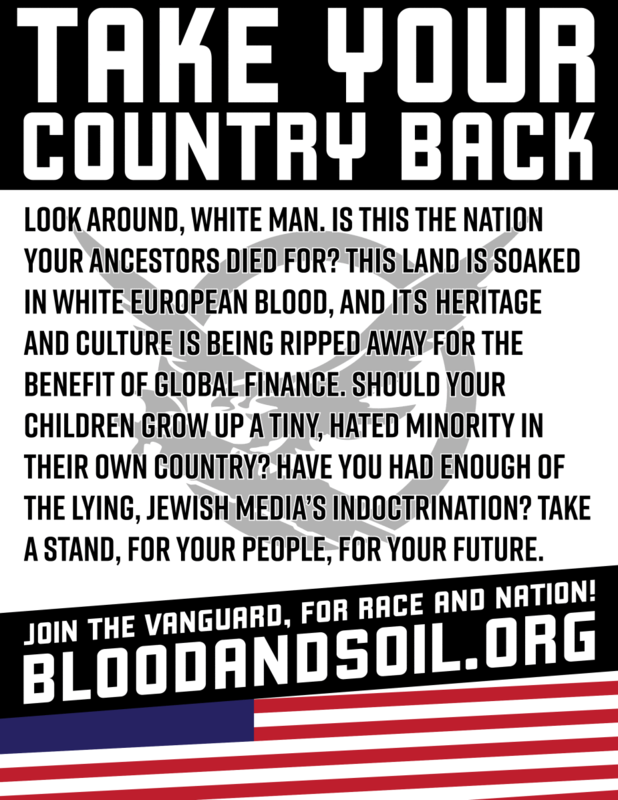 Most, if not all, nationalist groups within the US have fallen into a poster and protest cycle. While a banner drop or a social media post might be sprinkled in, these organizations have been recycling the same tactics and content for far to long. It is only logical that as our ambitions increase so should the methods we use to reach our audience. Subversive messaging (the remaking and parodying of enemy works), leafleting, one on one talk, and exotic mediums (USB drives, drop speakers, projected messages, pirate boxes) all show extreme potential, yet have been unexplored. The NFP must thoroughly test these mediums (especially those that are extremely fresh/novel) and harness them to their maximum potential. All mediums must be hi-jacked for our fight. Left on the wayside by many right wing groups, Intelligence operations have been a core feature of our operations. The party has built many in house tools to assist with the gathering and analysis of information. The NFP has followed a simple philosophy when collecting information about groups. 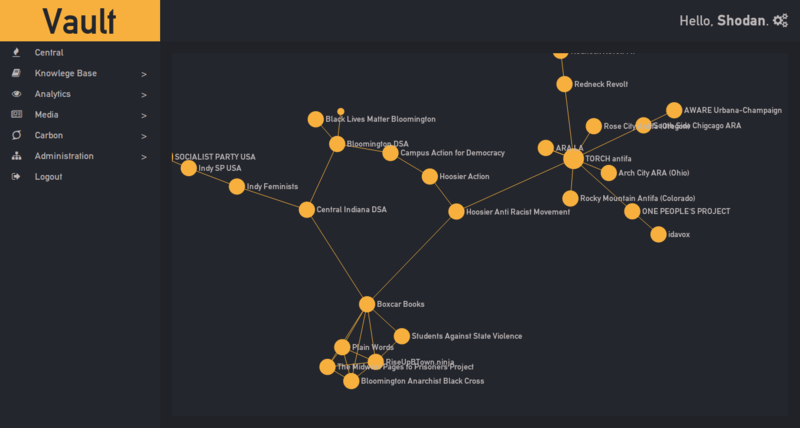 Most, if not all, groups are somehow interconnected. An anarchist group might support a zine in another town. An anti-fascist group might share connections with a friendly NGO. This concept is reflected in our tools. When groups are cached with the NFP's system, their connections with other groups are reflected. Each group has a page containing a short description, technical details about each group, and how much resources are being sent out for support. This system is still a work and progress. 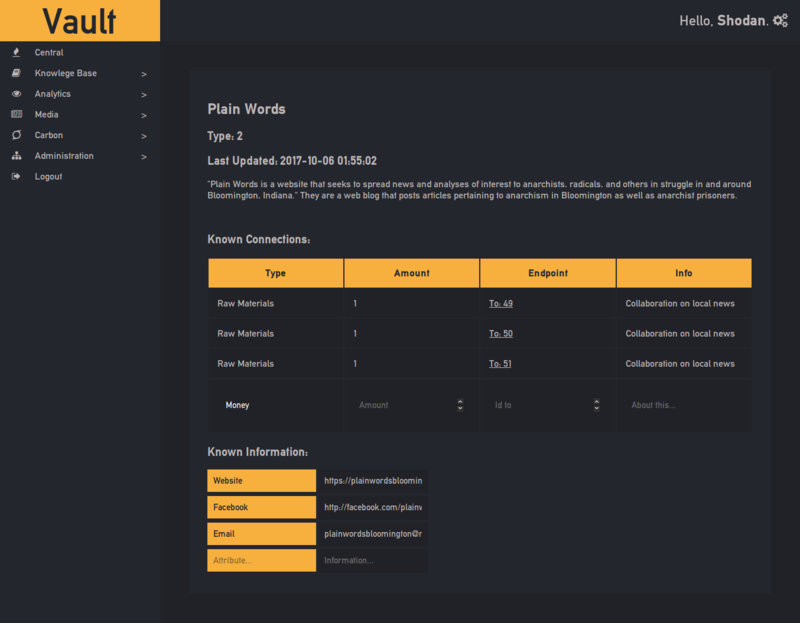 While we have tried to make as many features as user friendly as possible, the process of linking groups is still not smooth. In the future we also plan to add in systems to automatically process information groups post to their social media page, website, ect. The NFP has also taken advantage of some less technically advanced tools. RSS feeds have proven themselves to be extremely useful for watching groups of interest, and allow us to receive updates the moment they post. Propaganda operations on the ground have proven difficult for many groups, including our own. For those who are just starting, there are virtually no resources available. Experience in the field dies with the experienced. In an effort to combat this, we have been creating and distributing field manuals to new members with details instruction on how to complete various tasks. 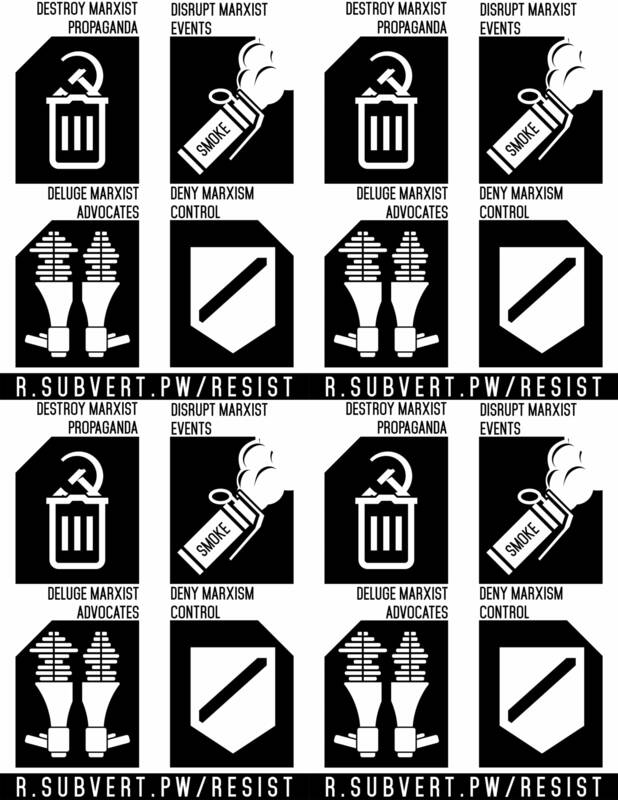 These manuals are available to the public on the subvert.pw website. 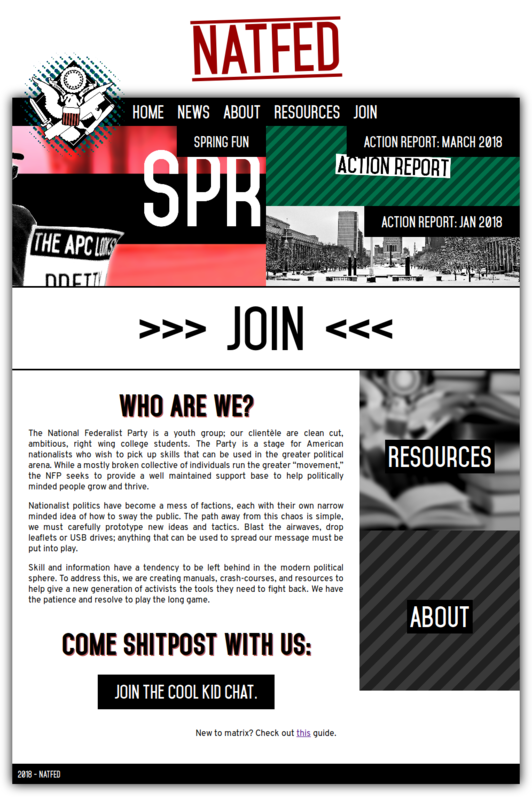 Some of these pdf documents have seen use in other groups, and sometimes are even referenced on other websites when topics related to postering are brought up. Simple acts like postering and protests are not enough. The NFP is, in many ways, a research and development organization. Many of our most important tools, such as our analytics engine, have been integral in guiding progress. We must continue test new mediums through which our message can be delivered. Through late 2017 and early 2018 the NFP built and tested "redsticks" under the project name "silicon." 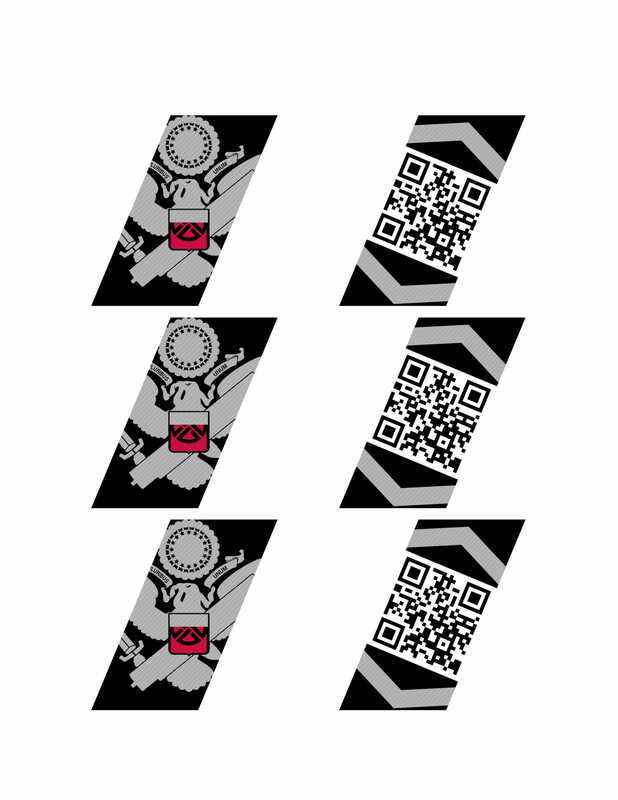 Redsticks are USB drives that are filled to the brim with redpills (hence the name). They can then be distributed in regions where people might pick them up and view the contents. The operation was a success, with many other organizations attempting to fork our work and continue the project (for those still trying this, godspeed). While leaflets are nothing new, they see little use by the right wing in messaging scenarios. In 2016 the party began to take a deep interest in this medium after reading old psychological operation manuals. In 2017 we began producing and distributing these in bulk, with nearly 200 distributed by the end of the year. Subversive content has also become a staple of the NFP's propaganda blitz. Often, current events in our local operating areas are easily exploitable. The posters and handbills of our enemy can often be photoshoped and parodied in the party's favor. Through 2015 and 2016, the NFP engaged in what it called "printovers." It is completely legal within the US to print on top of currency so long as you are not willfully destroying the bill's value. 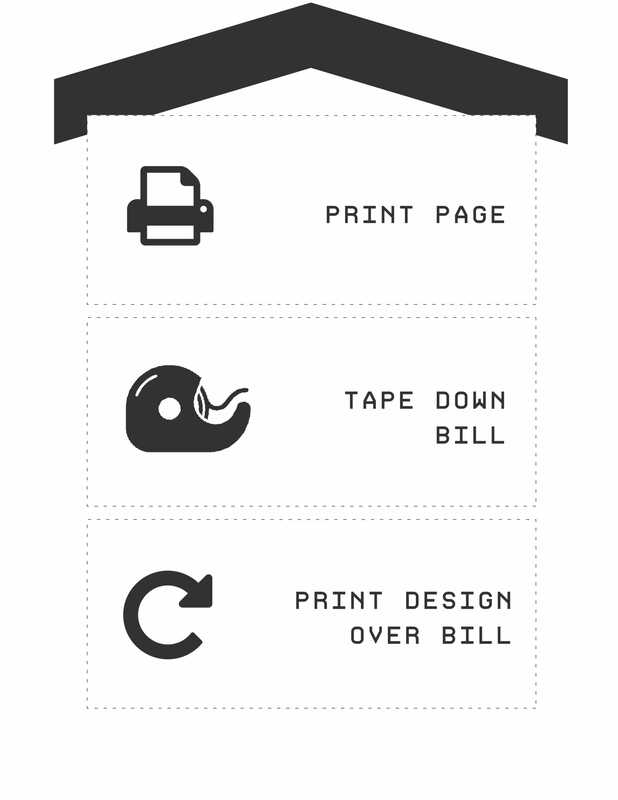 The NFP engaged in researching and testing such printing methods with a moderate degree of success. For us it is not enough to stand steadfast against our enemy. Only the pledge, I will fight. The NFP is not an organization centered around discussion, but one centered around action. Dormancy is death. Through action, we fight to stay alive. Our enemy believes that America will not survive the century. They maintain that Americans are lazy, and cheap disposable labor from third world countries must replace them. That our nation's people will lay dormant as they are casually thrown away, like garbage on the road. And so I ask, will you fight?